Putla Sehlapelo is a South African actor best known for his leading role as Maloro in the SABC1 mini-series Death of a Queen, which aired as part of the channel's "Shakespeare in Mzansi" strand from July to August, 2008. He also starred as Tiro Lebone, the BEE millionaire who has everything but the love of his life, in the M-Net soap opera The Wild, from 2011-2012. 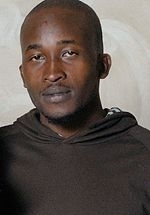 Putla played the minor role of Hospital Doctor 1 in the SABC2 mini-series Noah's Ark from July to August, 2008. In 2014 he starred as Steve Kefentse, an attorney married to Dipuo who considers his own belief and dedication to justice his personal strength, in the SABC2 thriller series Thola.